Why Should You Hire a Mesothelioma Lawyer? Why Should You Hire a Mesothelioma Lawyer? Home Blog Attorney Why Should You Hire a Mesothelioma Lawyer? Learning that you have mesothelioma is a terrible misfortune, but the pain of dealing with cancer can be amplified when you have to go through legal troubles at the same time. Cases of mesothelioma are often paired with legal procedures. This is because the reason for a person’s mesothelioma is often unsafe working or living conditions. In many cases, those unsafe conditions warrant legal action an could result in large settlements. While the most important thing is to recover from your illness, financial settlements can ease a huge amount of stress from medical bills and living expenses. If you think you may have a case, you should seriously consider getting a mesothelioma lawyer. In order to fully understand why you might need a mesothelioma lawyer, it’s helpful to know what mesothelioma is and how it’s contracted. We’ll start with the basics about mesothelioma. The overarching fact is that the illness is difficult to treat, and is extremely aggressive in its attack on the body. As the name suggests, mesothelioma is an attack on a part of your lungs called the mesothelium. Like most people, you’ve probably never heard of the mesothelium. It’s essentially a membrane that serves to protect every one of our bodies organs. It’s permeable, meaning that liquids are able to pass through it while other things are prevented from passing. In this way, the mesothelium allows our organs to get the liquids they need. It also protects some of our body’s cavities. Ultimately, our organs are vulnerable to disease and illness like cancer when we don’t have a functioning mesothelium. While mesothelioma can occur in any part of the mesothelium, it’s most commonly associated with the lining of the lungs, and an area between membranes called the pleural cavity. The pleural cavity provides your lungs with the ability to expand and contract while you are breathing. Breathing becomes extremely difficult when the pleural cavity isn’t able to be healthily lubricated. The symptoms of mesothelioma usually come as shortness of breath, difficulty breathing, pain in your chest, and the coughing up of bloody substances. These symptoms are all extremely serious, and even if they’re not mesothelioma, you should see a doctor if you have them. Doctors will usually diagnose you through the use of a CT scan. If not, they will use an x-ray to examine your lungs. They’ll be looking at your lung’s outer membrane and the pleural cavity. The pleural cavity could have air in it, or your outer membrane could be thickening and taking on cells. The thickening of cells could signify an overgrowth in your cell tissue that could be a tumor. If this is the case, the doctors take a biopsy of the affected cells. An abnormal growth in cells signifies the presence of an abnormality in your DNA. That location is experiencing a lot of genetic mutation that leads to the overgrowth of cells. This, when left to develop, is a tumor. Asbestos is an extremely strong material that was once a common element in construction materials. It is non-flammable, insulative, and extremely resilient. For that reason, it was commonly used in paints, tiles, building insulation, and more. It is comprised of extremely tiny, rigid fibers. Those fibers are hundreds of times smaller than a strand of hair and bind tightly. Because of that strength and size, it’s extremely to get asbestos out of the body once someone has been exposed. That strength is fantastic when it’s being used for constructive things, but asbestos as proven to be extremely destructive when it comes to the human body. Our bodies can kick out most of the toxins that they are exposed to. Things like cigarette smoke, alcohol, chemicals, and more are usually able to be filtered out of our bodies as they try and maintain a healthy equilibrium. Some elements, such as asbestos, however, never leave the body once they’ve entered. We mentioned the element of genetic mutation before. Asbestos has this effect on our genes because it is so tiny, rigid, and disruptive to the natural work of our bodies. For reasons that are not well-documented, asbestos has a serious effect on our tumor suppressor genes. As mesothelioma progresses, it develops plaques on the lungs and other areas where the mesothelium exists. It is a fast acting disease, and it’s best to look into your lungs before you think you have it. This is especially true if you were exposed to mesothelioma for any significant period of time. We’ve all seen a box of asbestos tiles laying around or been present in a building that was constructed with asbestos. That doesn’t mean that we’re going to contract mesothelioma. It does take a long exposure period to contract the disease– roughly 50 years, in fact. That period is called the “latency period,” and it represents the amount of exposure that is typically needed for the illness to develop. Because of the length of the latency period, most cases of asbestos exposure that lead to mesothelioma happen in the place where a person lives or works. People did not know about the dangers of asbestos while they were using it, however, and this is where it gets complicated legally. Unfortunately, there is the chance that you or someone in your life will contract mesothelioma from extended exposure to asbestos. The material, again, was extremely popular in building materials until 1989, when it was banned in manufacturing and other industries. That ban was overturned a couple of years after, moving to a partial ban. While all forms of asbestos can cause cancer, EPA moved to change the ban to only partial because it would be less burdensome. Thankfully, this partial ban still eliminates much of the asbestos that we would otherwise be exposed to. In any case, the asbestos may have already caused cancer. What can you do? The type of case that you file will depend on whether or not the person in question is alive. If so, you will file for a personal injury lawsuit, and you should do this immediately when you know you have mesothelioma. Identify the cause of the asbestos exposure and question if there is any liability on the end of the building or builder that exposed your party to the substance. Your suit will be aimed at whatever party was responsible for causing the mesothelioma. If the victim is deceased, you will file for a wrongful death lawsuit. The suit should be filed by the family and those affected by the death and should have relevant evidence and clear correlations as to why the person contracted mesothelioma. There’s no getting around the fact that it is extremely difficult to go through cancer, let alone watch someone you love go through it. It is one of the most emotionally draining things that could ever happen to a person or family. That emotional stress is amplified by the fact that the costs of treatment are massive. Treatment is tens of thousands of dollars, often more, in nearly every case. That’s money that you could win back if you win your settlement case. Legal procedures are particular, dense, and wrapped up in a web of history and precedents that all need to be understood. The process of understanding how to proceed with an individual case is extremely difficult for anyone who isn’t used to them. This is especially true if you are someone who is dealing with the pain and stress of cancer. In these cases, it is almost always easier to hire a mesothelioma lawyer. This is a person who can handle the case for you and make sure you get what you’re entitled to. They can research and crosscheck information that will be relevant to the case. They will also have a good grasp on timeframes, processes, and numbers that you should reasonably expect to receive. Try to find a lawyer that has experience dealing with mesothelioma cases and will know the ins and outs of the procedure. The process is a lot easier if you’re working with a lawyer that you get along well with and is sensitive to your situation. You’ll be interacting with this person a lot over the coming months, so it’s important to have a good rapport with them. Your lawyer will do extensive research pertaining to your case and organize the arguments you’ll use to get the settlement. Your lawyer will submit a formal complaint once the details are in order. This will go over the arguments and reasons that have pushed you to file a lawsuit. Both sides will then take time to compile information to support their end. The primary goal at this point is to prevent the case from actually going to trial. A lot of money, time, and difficulty can be avoided if the case doesn’t go to trial. It also means that you’ll receive compensation sooner, should it be granted in your case. Your trial length will depend on the number of people that are currently filing lawsuits against the company. It will also be extended if there are multiple defendants or plaintiffs in your case. Typically, though, cases range from a couple of weeks to a couple of months. Some variation can happen and things could be more or less time-consuming. Beyond the trial, though, there are few other time-consuming elements. You’ll need time to cover the pre-trial research, which is extremely valuable to the outcome of your case. There will also be a consultation period, which could consist of a few meetings. There’s also a discovery period. This is a time for interrogatories, document production and the inspection of those documents, as well as a couple other elements that could be summoned at the request of a party. This person will get a feel for the value that you could potentially get from the relevant asbestos trust. The case is made a little more complicated due to the fact that most companies experiencing asbestos cases operate through an asbestos trust. The volume of lawsuits that came when people started contracting mesothelioma was overwhelming for the companies under fire. To ease the blow, these companies were able to file for a Chapter 11 protection from bankruptcy. The protection essentially prevents relevant companies from going through lawsuits, and they can instead pay out compensation through trusts. Companies with a number of asbestos cases will put pay-out money into trusts that are used in order not to go bankrupt. Most of the trusts do not have enough money to pay every victim the full settlement amount, so it’s likely that the payout will not be in full. In fact, the value of the negotiation that comes out is typically around a quarter of what the claim asks. Because the financial compensation for your case is so important, it’s crucial that you hire the best mesothelioma lawyer possible. This is someone that will be right there with you through the whole process, and you put a lot of trust in them. 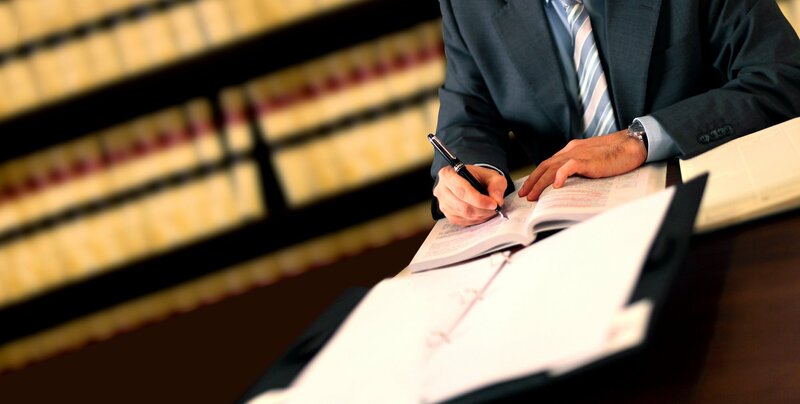 A good lawyer will up your chances of getting a larger settlement, shortening the time of your trial, and helping you understand the ins and outs of the case. Go with someone who knows what they’re doing. If you’re looking for a lawyer to work on your mesothelioma case, contact us and we’ll be happy to help in whatever way we can.